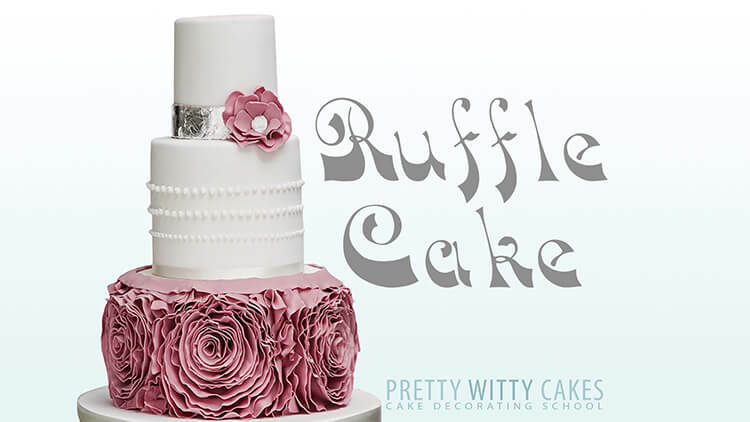 Check out this FREE cake decorating video by Pretty Witty Academy guest tutor Rachel and learn how to make this beautiful white ruffle cake. 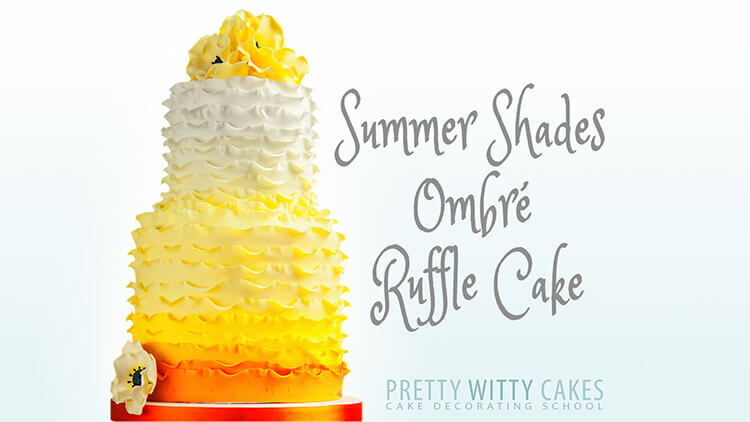 Ruffles are so on trend for both wedding and birthday cakes. 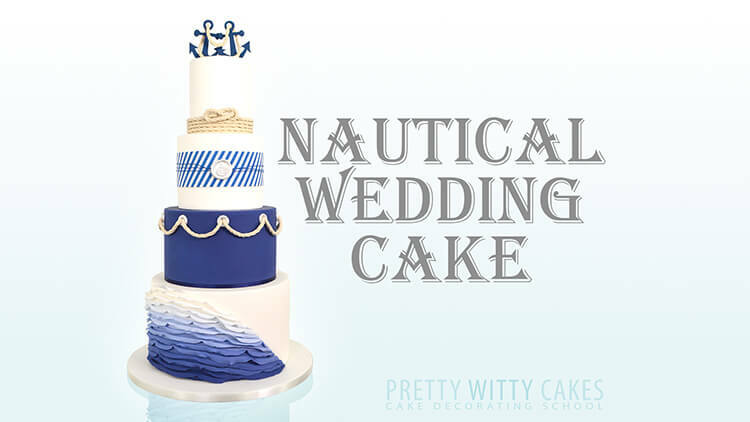 And you can even use them for novelty cakes. How about making a baby's bottom cake for a baby shower with a frilly nappy cover, or a clown cake with a big ruffle collar and sleeves? Flower Paste. This is the same as Gum Paste and there are many brands. The one shown is Squires Kitchen which is what is used in the tutorial. 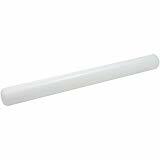 Non Stick Rolling Pin. We recommend having one long one (approx 20 inches) and a smaller one (apprx 9 inches) for detailled work. Non-stick green board. 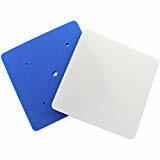 Non-stick boards are a brilliant investment and large ones enable you to work on full cakes as well as decorations. Cornflour or Trex / Crisco. 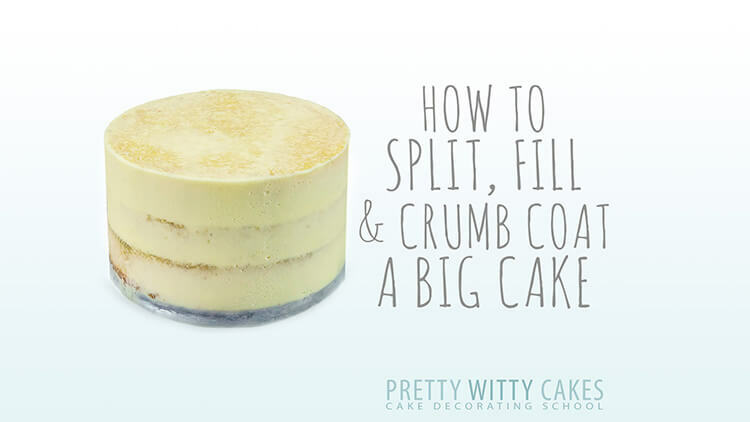 You will find you use masses of Trex or Crisco (vegetable fat) when cake decorating. You will also need cornflour to prevent things sticking. 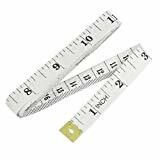 Ribbon or Tape Measure. 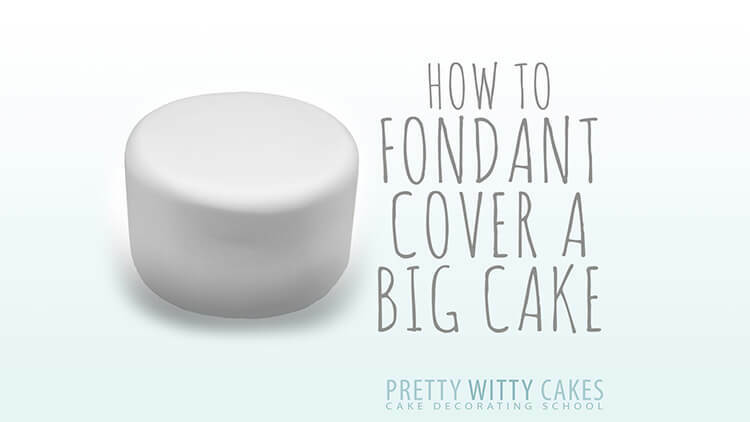 A soft tape measure will come in handy on almost every cake to check the lengths around the cake before rolling fondant. Use this ribbon wheel cutter to get a perfect set of matching ruffle pieces. 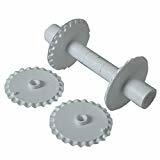 Ball Tool. 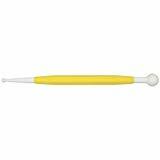 Possibly one of the most used cake decorating tools and a total "can't live without for all cake makers"
Foam Pad. As shown in the video tutorial, use the foam pad with the ball tool to make ruffles. You will find the blue Mexican hat useful too. Edible glue will help everything stick. This is the one we always use at Pretty Witty Academy. Food safe paint brushes are vital for cake work. We recommend one for colours and one for glues and pastes. 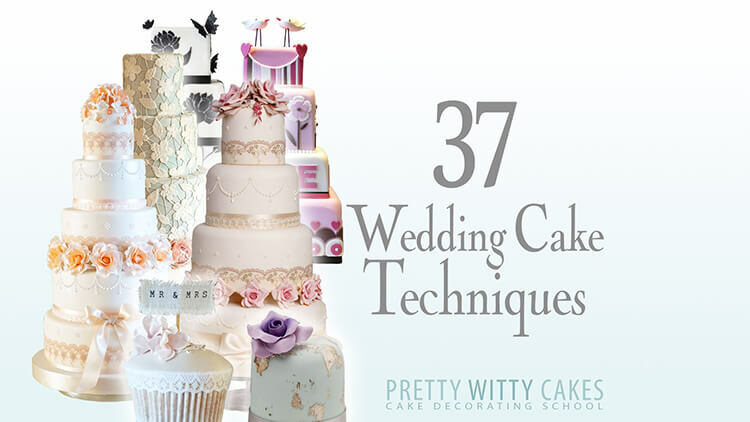 You will need a cranked palette knife for most cake work. 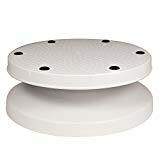 There are various types of turntable but this is the most common for beginners made by PME and very sturdy and easy to wash.
Want to take ruffles up a notch? 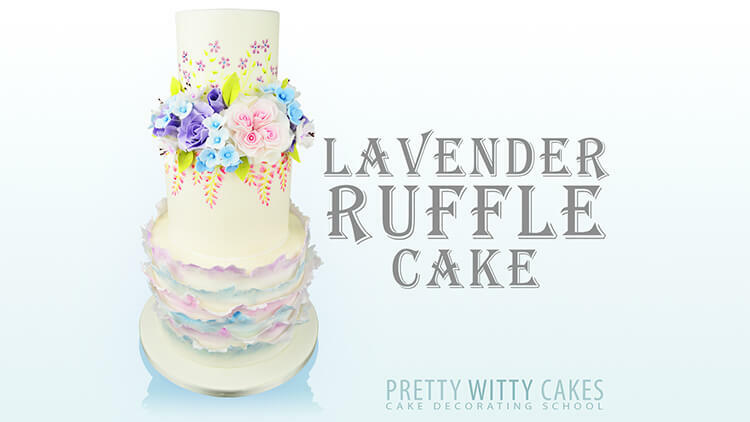 Inside Pretty Witty Academy we have several ruffle cake feature length tutorials including these stunning cakes below. 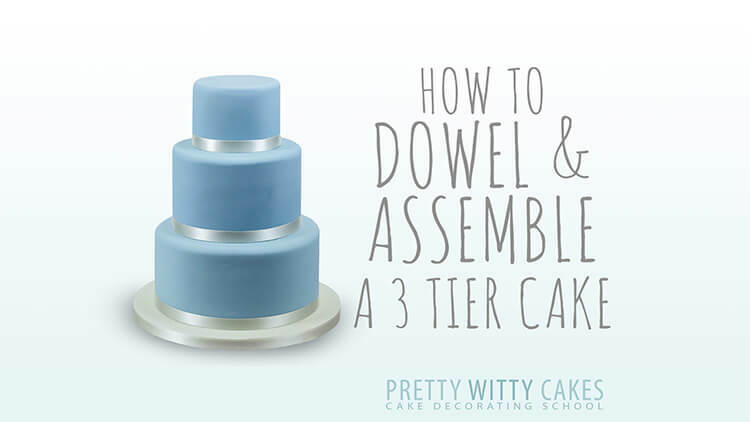 Love the idea of decorating with ruffles, but need some help getting you cake prepped first? 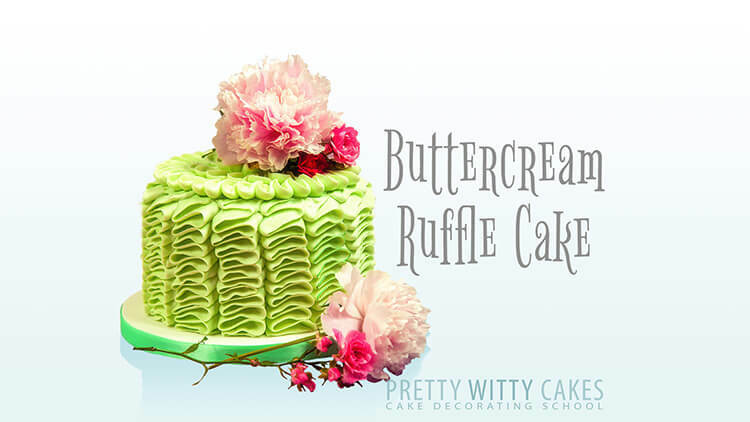 Why not try your hand at buttercream ruffles..
For heaps of recipes, videos, pictorials, masterminds, member perks and an awesome community, join the Pretty Witty Academy. 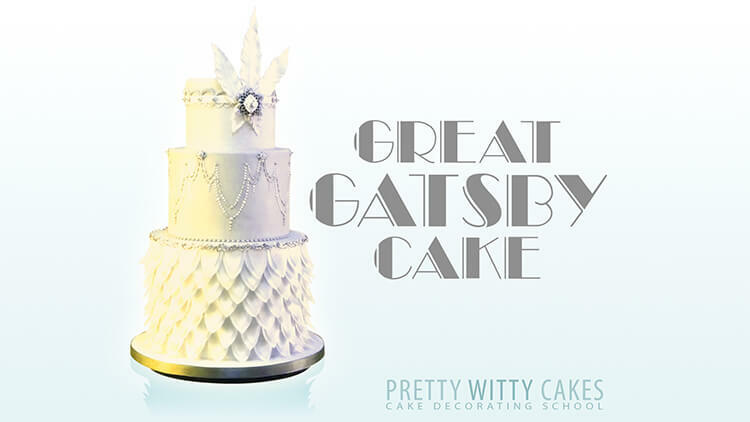 It is the best online cake and cake business school in the world. 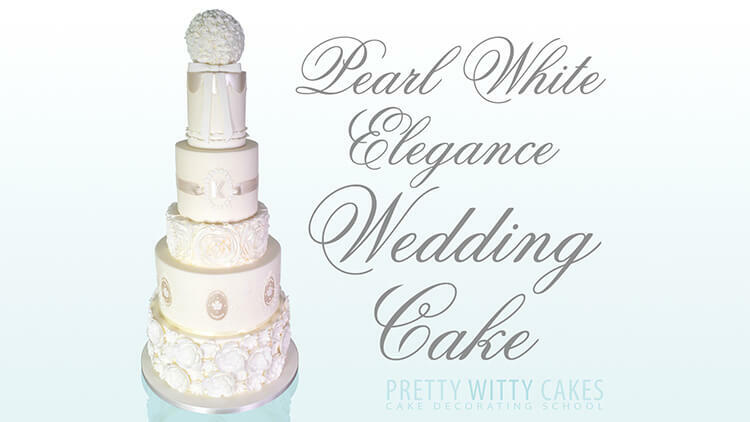 Some links in the Pretty Witty Cakes Blog will be affiliate links. Affiliate links are links where we can earn commission by advertising and linking to other sites. As an Amazon Associate I earn from qualifying purchases.